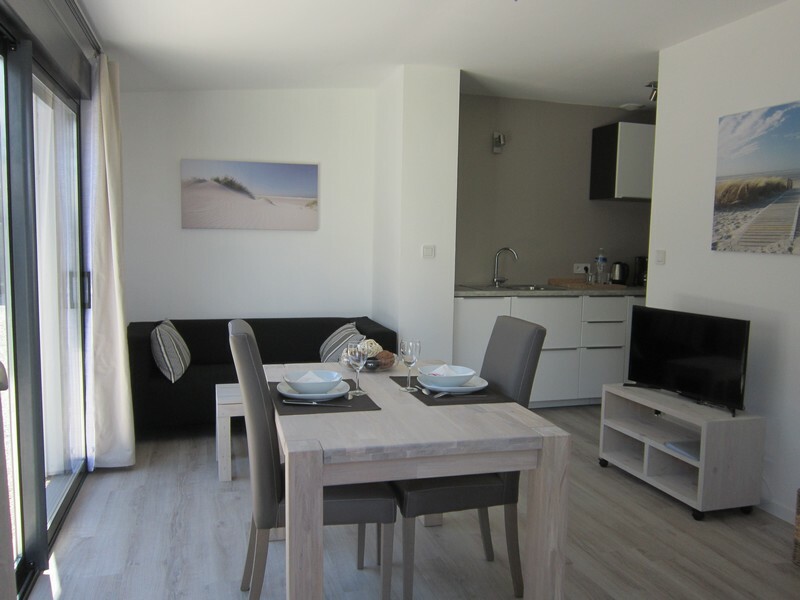 Spacious comfortable and fully renovated apartment, adjoining another Clévacances property, 400m from beach and shops. Entry direct into living/sitting room, fitted kitchen, bedroom (queen-size bed), shower room/WC (large shower). Shared courtyard.